"We pray to Our Lady to protect us, and in times of spiritual turmoil the safest place is under Our Lady's mantle. She is the mother who takes care of the Church. And, in this age of martyrs, she is the protagonist, the protagonist of protection. She is the Mother. [. . .] Let us say it with faith: 'The Church, Mother, is under your protection. Take care of the Church'!" Will the Pope get shoes to match? Pope and President of Spain and wife, and new football jersey (soccer to you Yanks). The Tablet Is Not Catholic-What? 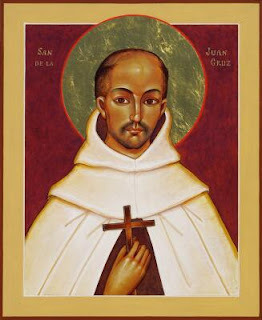 As I come to the (almost) end of this long series, started in January of 2012, I emphasize, perhaps, the most loved of all those saints and Doctors who write on perfection, St. John of the Cross. 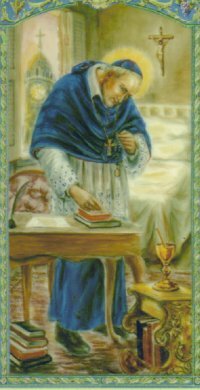 More than all the rest, he is widely read by Catholics interested in prayer and the mystic life. After looking at some of his works, I shall return to Garrigou-Lagrange for more of his great insights into perfection. 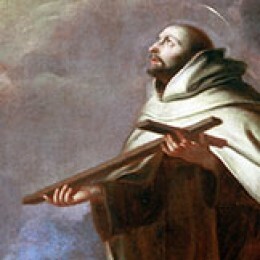 St. John of the Cross fits the call of Christ Who said, And from the days of John the Baptist until now, the kingdom of heaven suffereth violence, and the violent bear it away Matthew 11:12 DR. John was not afraid of penance and used the abuse perpetrated against him by his own community for spiritual growth in the way of perfection. We understand his ways and stages of growth in the spiritual life. Some of these concepts have been reviewed on this blog last year. However, I want to look more closely at a few bits. From the Ascent of Mount Carmel, the description of the Dark Night of the Soul, which all must pass, provides a clear middle stage after the stages of conversion, consolations and purifications. My comments are in blue. Treats in general of how the soul likewise must be in darkness, in so far as this rests with itself, to the end that it may be effectively guided by faith to the highest contemplation. It is now, I think, becoming clear how faith is dark night to the soul, and how the soul likewise must be dark, or in darkness as to its own light so that it may allow itself to be guided by faith to this high goal of union. But, in order that the soul may be able to do this, it will now be well to continue describing, in somewhat greater detail, this darkness which it must have, in order that it may enter into this abyss of faith. And thus in this chapter I shall speak of it in a general way; and hereafter, with the Divine favour, I shall continue to describe more minutely the way in which the soul is to conduct itself that it may neither stray therein nor impede this guide. 2. 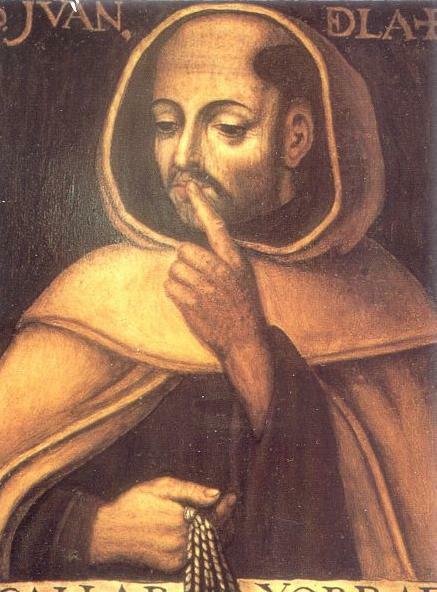 I say, then, that the soul, in order to be effectively guided to this state by faith, must not only be in darkness with respect to that part that concerns the creatures and temporal things, which is the sensual and the lower part (whereof we have already treated), but that likewise it must be blinded and darkened according to the part which has respect to God and to spiritual things, which is the rational and higher part, whereof we are now treating. For, in order that one may attain supernatural transformation, it is clear that he must be plunged into darkness and carried far away from all contained in his nature that is sensual and rational. For the word supernatural means that which soars above the natural self; the natural self, therefore, remains beneath it. 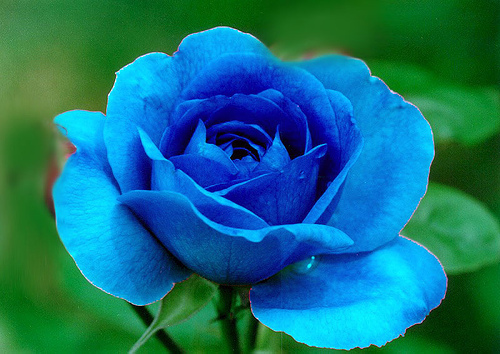 For, although this transformation and union is something that cannot be comprehended by human ability and sense, the soul must completely and voluntarily void itself of all that can enter into it, whether from above or from below — I mean according to the affection and will — so far as this rests with itself. This is a stage of somewhat passivity, wherein the soul and the will cooperate with God in a darkness which hides the soul and protects it while the passive purgation occurs. The purgation happens in the first dark night. In the second one, God comes to the pure in heart. Purity of heart is the goal of purgation. For who shall prevent God from doing that which He will in the soul that is resigned, annihilated and detached? But the soul must be voided of all such things as can enter its capacity, so that, however many supernatural experiences it may have, it will ever remain as it were detached from them and in darkness. One can say "no" to this process. Either one wants to remain in control of one's life and destiny, or one is afraid, or one loves someone or something more than God. The "yes" opens the door for spiritual growth and the test of real faith is the "fiat" given in darkness. It must be like to a blind man, leaning upon dark faith, taking it for guide and light, and leaning upon none of the things that he understands, experiences, feels and imagines. For all these are darkness, which will cause him to stray; and faith is above all that he understands and experiences and feels and imagines. And, if he be not blinded as to this, and remain not in total darkness, he attains not to that which is greater — namely, that which is taught by faith. 3. A blind man, if he be not quite blind, refuses to be led by a guide; and, since he sees a little, he thinks it better to go in whatever happens to be the direction which he can distinguish, because he sees none better; and thus he can lead astray a guide who sees more than he, for after all it is for him to say where he shall go rather than for the guide. In the same way a soul may lean upon any knowledge of its own, or any feeling or experience of God, yet, however great this may be, it is very little and far different from what God is; and, in going along this road, a soul is easily led astray, or brought to a standstill, because it will not remain in faith like one that is blind, and faith is its true guide. This is where so many Catholics and Protestants fall off the path to perfection. These good people do not remain in faith, but insist on going their own way and doing their own thing. It is very, very hard to follow Christ in darkness in the world, but perseverance is necessary, and a virtue which is given. This darkness however finally brings the Love of God into one's soul, mind, body, and changes one forever. 4. It is this that was meant by Saint Paul when he said: Accedentem ad Deum oportet credere quod est.225 Which signifies: He that would journey towards union with God must needs believe in His Being. As though he had said: He that would attain to being joined in a union with God must not walk by understanding, neither lean upon experience or feeling or imagination, but he must believe in His being, which is not perceptible to the understanding, neither to the desire nor to the imagination nor to any other sense, neither can it be known in this life at all. Yea, in this life, the highest thing that can be felt and experienced concerning God is infinitely remote from God and from the pure possession of Him. Isaias and Saint Paul say:Nec oculus vidit, nec auris audivit, nec in cor hominis ascendit, qua praeparavit Deus iis, qui diligunt illum.226 Which signifies: That which God hath prepared for them that love Him neither eye hath seen, nor ear heard, neither hath it entered into the heart or thought of man. So, however much the soul aspires to be perfectly united through grace in this life with that to which it will be united through glory in the next (which, as Saint Paul here says, eye hath not seen, nor ear heard, neither hath it entered into the heart of man in the flesh), it is clear that, in order perfectly to attain to union in this life through grace and through love, a soul must be in darkness with respect to all that can enter through the eye, and to all that can be received through the ear, and can be imagined with the fancy, and understood with the heart, which here signifies the soul. And thus a soul is greatly impeded from reaching this high estate of union with God when it clings to any understanding or feeling or imagination or appearance or will or manner of its own, or to any other act or to anything of its own, and cannot detach and strip itself of all these. For, as we say, the goal which it seeks lies beyond all this, yea, beyond even the highest thing that can be known or experienced; and thus a soul must pass beyond everything to unknowing. This is perhaps the single most important paragraph in this chapter and even the entire book. We impede our own growth in the spiritual life by hanging on to the things which stop us from meeting God as He is and not as we think He is. Only a purity heart and mind can open one up to the experience of God. One's mind, heart, imagination etc, are like attics crowded with junk. Everything must go and one must start all over again. 5. Wherefore, upon this road, to enter upon the road is to leave the road; or, to express it better, it is to pass on to the goal and to leave one’s own way,227 and to enter upon that which has no way, which is God. For the soul that attains to this state has no longer any ways or methods, still less is it attached to ways and methods, or is capable of being attached to them. I mean ways of understanding, or of perception, or of feeling. Can one be honest and clear enough to leave one's own way? One cannot do this merely on one's own with will power and talent. Graces are essential. But, the willingness is all. If one sincerely makes a movement towards God on this road, the graces will follow. There is the darkness of purgation but there is the darkness of love which is this second phase of the Dark Night of the Soul. Nevertheless it has within itself all ways, after the way of one that possesses nothing, yet possesses all things.228 For, if it have courage to pass beyond its natural limitations, both interiorly and exteriorly, it enters within the limits of the supernatural, which has no way, yet in substance has all ways. Hence for the soul to arrive at these limits is for it to leave these limits, in each case going forth out of itself a great way, from this lowly state to that which is high above all others. Courage is key. If one is fearful or holding back, one cannot enter the road to perfection. It is a way "less travelled" for one simple reason; it is a hard, hard road. Notice that we have the cardinal virtues of justice, temperance, prudence and courage (perseverance) to take us through to the goal. We must will this journey. We are in darkness, but not confused. One sometimes feels totally unworthy. But it is in this second darkness that God reveals Himself to the empty soul. To be continued....more tomorrow from the same book. I write poetry, short stories, dramas, anything. I have put a few poems on this blog, but not a long one, which is my speciality. May you like this one, which I wrote in 2012. Let me know what you think. For an artist or writer to send a work out into the world is like sending a grown child out into the world. One is not quite sure what will happen, but one has done one's best. I shall blog it in the post after this one. So, if you see something "different", you know what it is. 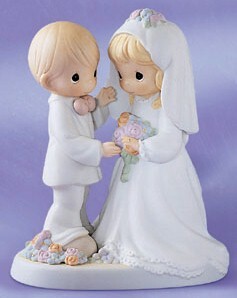 Also, prayer request...a lovely couple which has been praying for a baby for years, is expecting. Please pray for Patrick and Medvina. God bless all three. Found here are some more words of wisdom from St. Alphonsus Ligouri. It is amazing how much he wrote. Here he is on perfection. I have referred to Rodriquez before in the perfection series. I think these passages are clear enough without comment. St. Alphonsus, perhaps, provides us with some of clearest writing in the entire series. Please feel free to ask questions on anything in his writing. By the way, if you are prone to illness, I highly suggest asking St. Alphonsus to be one of your patrons. He received the Sacrament of the Sick eight times in his life. all others, souls resigned to his holy will. The amount of writing by this great saint amazes me. If you have a chance, read his books. Next, I shall move on to John of the Cross. Recently, I have been very ill . I realized too painfully the state of my soul through this illness. I saw my impatience and annoyance at being ill. I was crabby and not peaceful because I wanted to do things instead of being ill. I had to change my travel plans seriously.